An image from NASA's Apollo 17 image library shows a greenish-blue Unidentified Flying Object (UFO) hovering above the Moon. The UFO was spotted by UFO enthusiast and blogger Scott C Waring, who wrote about it on his website UFO Sightings Daily. "This UFO was near the Apollo 17 astronauts who took this photo. Possibly an alien drone sent to investigate the human landing party of Apollo 17. Certainly it's not an insect on the moon, but then again, we really have no idea what's out there in space", Waring wrote on his blog. Waring, who is an author of four books and has written several articles on the subject, is a firm believer of the existence of alien life. He discovered the UFO over the moon on Saturday. "Scientists assume they know what's out there, yet humanity doesn't even know half the creatures in our own oceans. One major thing I learned in this area is...if aliens exist, then anything is possible in this universe", he added. Apollo 17 was the sixth and final mission of the United States' Apollo lunar landing programme. It was launched on 7 December 1972. 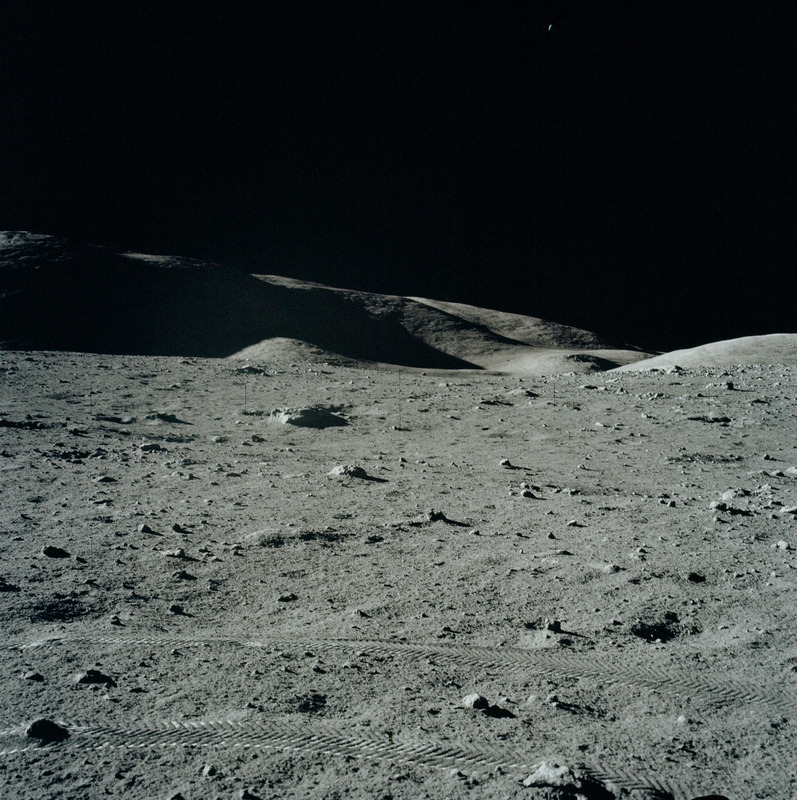 "This Apollo 17 Image Library contains all of the pictures taken on the lunar surface by the astronauts together with pictures from pre-flight training and pictures of equipment and the flight hardware," NASA's official website says about the images. On Sunday, Waring had also pointed out a disc-shaped UFO hovering over Mars, photographed by NASA's Curiosity Rover. "Look at this awesome discovery in not one but two Nasa photos (Sol 369 and Sol 370). Both of which show the same UFO in different positions. These are typical alien flying saucers or discs that have been seen for many decades around the world", Waring wrote on his blog.